Faakhir Say Milnay ko JEE CHAAHAY? GET A CHANCE TO MEET THE LEGEND! Yes folks, this is the first time ever we are keeping a COMPETITION! Faakhir Say Milnay kou 'Jee Chaahay' ???!!! Here's your chance to prove how true you all are out there! Engage yourselves into a steaming 'COMPETITION' and have your golden ticket to meet Faakhir! 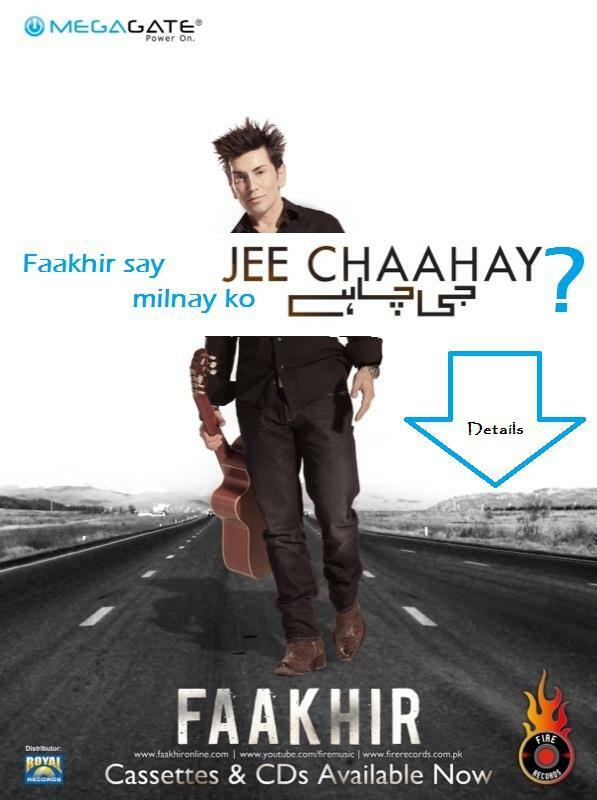 You are all asked to make a 2-min (max length) video, capturing yourself, singing any song from Faakhir's latest music album 'Jee Chaahay' and convince Faakhir why are YOU his biggest fan and what makes you different from others! *1ST RUNNER UP will get a phone call from Faakhir and a signed CD! *2ND RUNNER UP will receive Faakhir's signed poster! --All participants will receive an e-poster of Faakhir! * You cannot enter the competition more than once. * Your information must be correct in order to receive your Prize. *** If anyone goes against the Rules & Regulations, the management reserves all the right to disqualify him/her. Management reserves the right to make any changes they want.